One of the claims that is very explicit in the New Testament is that Jesus is the Son of God. Moreover he is God himself. Apologists have noted that this idea would be utterly unthinkable in the Jewish context of Jesus’ life. No Jew could hear this without thinking it blasphemy, and so those that turned to this new idea would have to have been convinced by something extraordinary. The only thing that could be so extraordinary would be that Jesus was in fact God. Others took a different view. Rationalists of the 19th century all the way through to characters in Dan Brown’s The Da Vinci Code have posited that Jesus himself was just a normal human, preaching a message of love and tolerance (and happily ignoring the end-times apocalyptic quotes of Jesus). They think that the son of God idea came from the neighbouring Hellenistic cultures. After all, gods, demi-gods, cult heroes, saviours born of virgins and so on were common place in the Greek world. As Christianity expanded it is natural that the new converts would start to include their own pre-held beliefs in their liturgy and rituals and eventually their theologies as well. But it wasn’t just the Greeks who had the idea of Sons of Gods. The Jews themselves were once polytheistic and even by the time of the destruction of the Temple (70 CE) they had not entirely come round to pure monotheism. Just as future Christians would read back into the early churches their own brand of Christianity, so too did the Rabbinic Judaism formed in the wake of the destruction of Jerusalem read its own monotheism right back to the beginning of their history. They were certainly correct that a form of monotheism had been the mainstay (or at minimum a very powerful force) of Judaism since at least the Exile in the sixth century BCE. The Deuteronomists give us vivid descriptions of the overturning of the pagan rituals that were performed in Judah just prior to the Exile. Sacred groves to Asherah, the wife of Yahweh were burned and statues removed from the Temple. Although portrayed as removing foreign influences it is clear that these were natives beliefs that were being challenged and changed. Despite the reformers best efforts the belief in multiple deities continued. The high god, El-Elyon and his son Yahweh, were separate beings for many Jews. In addition to snippets of old belief the remain in the Old Testament we also have evidence of what other groups of Jews believed around the time of the emergence of Christianity. The writings discovered at Qumran (the Dead Sea Scrolls) reveal a more complicated picture of Judaism than some imagined. The writings of the Alexandrian Jew Philo show a theology that is perfectly content with a second God: the Logos – the son of the All Mighty. Jewish Gnostic writings are replete with descriptions of the angels, the sons of the God Most High. The argument that no Jew would ever tolerate the idea of someone being the son of God is manifestly false. An interesting aspect of the title ‘Son of God’ within the Old Testament is that it can refer to different kinds of beings. The word translated to God was sometimes El (the High God) and sometimes Yahweh (God of Israel). The phrase Son of El was always used to describe heavenly beings, recognised as either Gods or Angels. Whenever the phrase is Son of Yahweh it refers to human beings (or sometimes the population of Israel). Most often this is done in the case of the King, he is made the son of Yahweh in a ceremony, the words of which are also used on Jesus when he is baptised. Does this imply Jesus was seen as the new King? Not at all. In each case where he is referred to as the Son of God he is the Son of El Elyon. Jesus was no mere mortal, he was an angelic being, a divine god. And which god? Over and over he is called Lord, the same translation into the greek that is used for Yahweh himself. Jesus was Yahweh. His very name means Yahweh Saves (or Yahweh is Salvation) and he is referring to himself. There was no need for centuries to pass and for legends and more impressive credentials to accrue to Jesus, it was there from the start. The stories of Jesus are the stories of Yahweh, returned to the world and ready to end it, all in preparation for a new world that never came. Out of the four gospels in the New Testament only two of them have any detail on the birth of Jesus. Each story, the one in Matthew and the one in Luke, are quite different but contain the authors attempts to explain two bits of information. The first is that the Messiah (the anointed one) would be born in Bethlehem. The second is that Jesus was known as Jesus the Nazareon/Nazarene/Nazerite. The author of Matthew takes the view that the family have always lived in Bethlehem, and then they have to flee when an evil king attempts to kill all the young children in the land. They finally end up in the town of Nazareth. The author of Luke takes a different approach. He postulates that the family originally came from Nazareth but were forced by the Romans to visit Bethlehem where the birth took place. So why did the authors feel the need to create stories about these two facts? One possibility is of course that there was a historical Jesus and people knew that he had been born in Bethlehem but grew up in Nazareth. But there are other possibilities too. Bethlehem was known for being the birthplace of the Israelite hero King David. The monarchy that ruled Judah for hundreds of years claimed descent from David and euphemisms were used to describe people who were part of this family. Of the Root of Jesse (David’s father) was one, and Born of Bethlehem was another. After the fall of Judah many prophecies were made about the return of a King of Judah and it was expected that it would be a member of the royal household who would take up the reign. And so the prophecies predicted that the Messiah (the anointed one, or King) would be of the Root of Jesse, or Born of Bethlehem. So when Jesus was declared the Messiah some thought it necessary to show his credentials. Both Matthew and Luke give long (differing) genealogies to show how Jesus was literally descended from King David. But they also both took the idea of being Born of Bethlehem literally and placed his birth in that city. This brought up a problem though. Jesus was supposed to have lived in Nazareth. Or was he? Nazareth had existed in ancient times but had been abandoned for many years by the time Jesus was supposed to have lived. It was only repopulated around the middle of the first century, decades after Jesus’ death and resurrection were placed. So why did people think he lived there? It could have something to do with the name, Jesus was known as a Nazorene, which could mean someone for a particular Jewish sect. In modern terms it would be like saying Jesus the Methodist, or Jesus the Sunni. As the incarnation of God Almighty it seemed strange to later generations that Jesus would be from a particular sect. And so the solution was to place his hometown as Nazareth thereby changing Jesus the Nazarene to Jesus of Nazareth and allowing him to be sectless and someone everyone could worship. Ideas about Jesus were varied from the get go, and the gospel authors attempts to explain these ideas were often as varied as people’s attempts to reconstruct the early church and Jesus’ life today. The mythological stories that I put up on this blog are my interpretations of traditional tales. One of the appealing attributes of myths is that every single version of a tale has been defined by decisions about what is important to the overall story. Unlike a novel which generally has one author, myths don’t have a definitive version. The sands shift beneath our feet when we try and look at the ‘true version’ or the ‘real story’ at the root of a myth. Some examples will show the difficulty in being certain about these stories. The death of Agamemnon is related in the Odyssey. Telemachus has journeyed to the court of Menelaus and Helen of Troy in order to find out if Menelaus has any word of his father Odysseus. While there Menelaus relates what happened after the fall of Troy and includes the story of Agamemnon’s return home. While away at the war Agamemnon’s wife had conducted an affair with Aegisthus, and when Agamemnon arrived back he was slaughtered, along with his followers, by this cruel and cunning Aegisthus. When Menelaus relates this tale he talks of the nobility of Agamemnon and the cruelty of the adulterer Aegisthus. And yet although this seems to be the oldest version of the story, it is not the most famous. Pindar, a Greek poet, wrote of how Agamemnon was killed in his bath by his wife. He had returned from Troy with the seer Cassandra and jealousy drove his wife to stab him to death while he bathed. Or perhaps it was retribution since in some stories Agamemnon had sacrificed his own daughter. Any tale of Agamemnon cannot possibly have all versions and so one must be chosen that suits the rest of the tale that is being told. Superman flies. It’s iconic, he wouldn’t be Superman if he couldn’t woosh into the air, or hover in the background with his cape billowing. And yet in the early stories he was only able to leap over buildings in a single bound. Super jumping is not quite the same as flying. 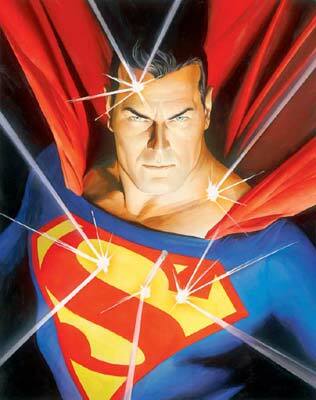 If you were to tell the myth of Superman would you include the fact he can fly? It is so ingrained in the idea of him now that it would be strange not to include it except to make the point that originally he was more of a human flea! In the early stories the planet Krypton is “so far advanced in evolution that it bears a race of superman”. In other stories the people of Krypton were normal and only when exposed to the Earth’s sun did Superman become, well, super. The evolution of the Superman myth, from powerful human to demigod has fascinating parallels in another set of stories. Just as the Christmas story differs between the four canonical Gospels, so too do other aspects of Jesus’ story. In particular the accounts of the resurrection are quite different even amongst the synoptic gospels, showing evidence that they are later additions to the core of the story that all three synoptic gospels share. When asked then to get to the truth of the Jesus story then, should you use Matthew and have Jesus riding into Jerusalem on two donkeys? And the hordes of zombie saints that rose from the dead on the same day as Jesus rose from the dead? Or should you use Mark and end the story with some women finding the empty tomb and then not telling anybody about it which is why nobody to this day has ever heard that Jesus rose from the dead? Anytime someone makes an effort to come up with a definitive version of a myth they must pick and choose which bits they want to keep in and (as important) which bits to leave out. Whether for theological reasons or to make a story more consistent, people have been retelling myths for as long as there have been stories, subtly changing them to keep them up to date, re-looking at old ideas and always inevitably adding a little something to the myth. Although I try not to add anything to the stories I relate in this blog, and that all the core ideas are from (usually written) sources it is inevitable that they will end up being something new. At the least they will hopefully be a new lens to look at old ideas.